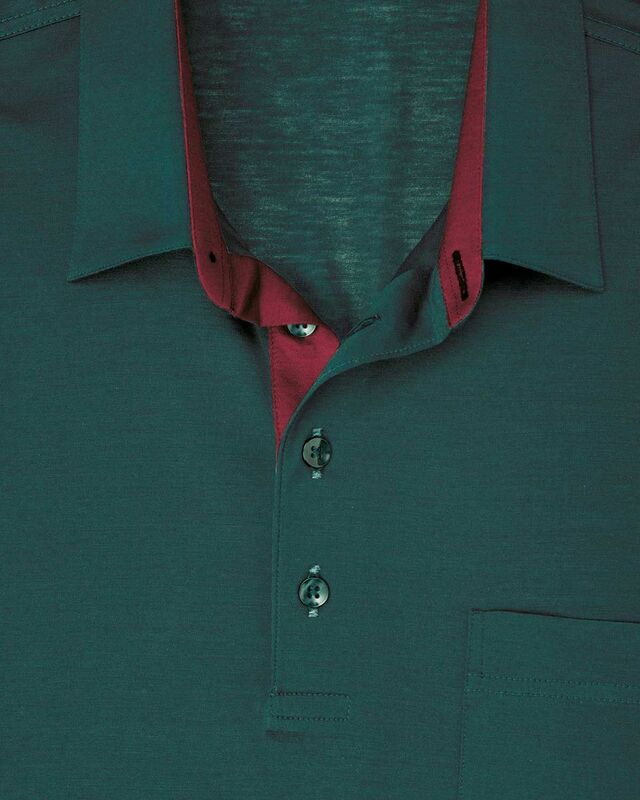 Mens Pure Cotton Short Sleeve Polo Shirt in green and breast pocket. Soft, pure cotton jersey polo with contrast trim on inside of collar and placket. Button fastening with single breast pocket.